Montana Fish, Wildlife and Parks’ biologists doubled their monitoring efforts Friday, using two boats to look for dead or dying fish between Livingston and Springdale. The results were encouraging. Two boats, one floating each side of the river, collected 48 dead mountain whitefish, one moribund whitefish and one moribund longnose sucker. A moribund fish is a live fish close to death and critical for histology testing to determine the cause of mortality. On Tuesday, along the same stretch of river, biologists used one boat and counted 52 dead whitefish. Last summer a proliferative kidney disease, or PKD, outbreak on the upper Yellowstone River led to an emergency closure by FWP and the death of thousands of mountain whitefish, which are native to the river. During daily monitoring floats this past week, FWP biologists have found less than 150 dead whitefish. PKD is caused by a microscopic parasite. 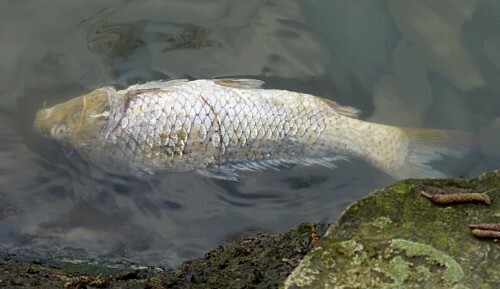 Though the reason the parasite, which exists in the river system year-round, will suddenly begin causing PKD is unknown, high water temperatures, low flows and general fish stress seem to be factors. With cooler water temperatures and higher flows, those conditions aren’t present this year. Biologists will do another monitoring float upstream of Livingston next Tuesday. Test results from the three moribund fish collected this week should be available late next week.